If you love to bake but only have one or two people to bake for these days, then I have the perfect kitchen item and/or gift idea that will quickly become a staple item in your kitchen...and one you don't know how you lived without! The item is the Mini Baker and it is a product from Crafts Direct, the Midwest’s largest independently owned arts and crafts store! 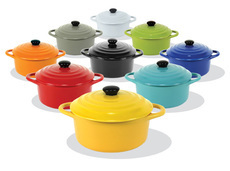 It comes in so many fun, colorful colors - you are sure to find the perfect match for your kitchen decor or your favorite color! The Mini Baker is great for preparing meals, side dishes, appetizers and more! I love that it can be used in the oven, microwave and even washed in the dishwasher! 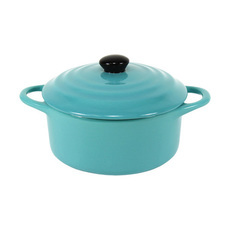 It such a versatile kitchen must have for small families, newlyweds, and singles! There are so many great recipes and foods you can make in the Mini Baker. My favorite way to use it is to make an egg bake for my kids for lunch! I just stir up some eggs, add in my children's favorite ingredients like chicken sausage, tomatoes, spinach, onions, cheese and add a little seasoning like onion salt and pepper and pour it all into the Mini Baker and stick it in the oven. I bake it in the oven at 350 degrees for about 30 minutes or until well done. It is the perfect size for my kids and they love their own little egg bake! Check out lots more recipes that you can make in the Mini Baker on the Crafts Direct Mini Baker recipes page. You can also mix up your favorite dips and serve them in this cute dish. Or create personal sized meals. You can bake it or microwave with the lid on to reduce mess and it is also great for reheating leftovers. Best of all, the handles stay cool in the microwave! Dimensions: 6.25" wide x 3.5" high - 4.5" wide x 2" high diameter cooking space (holds approximately 2 cups). You can purchase the Mini Baker for $5.98 from the Crafts Direct website. And make sure to use coupon code RS20 for 20% off your purchase from the Crafts Direct online shop.